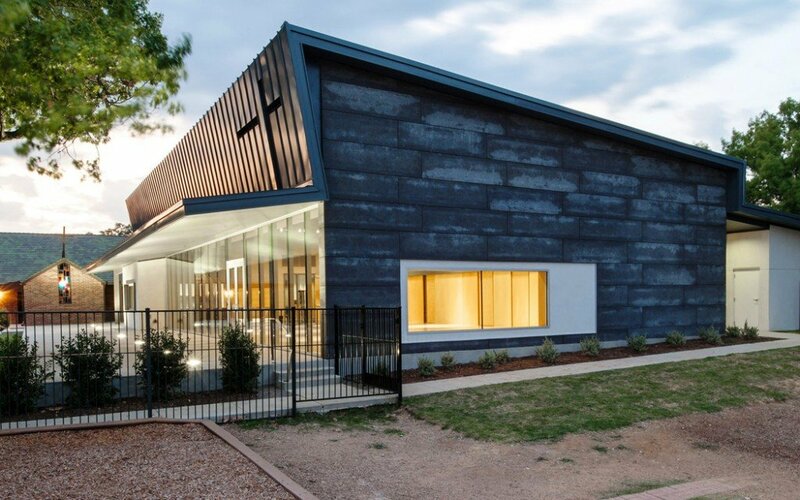 Episcopal Church of the Redeemer_Irving, TX | Group Structural Engineers, Inc. The Episcopal Church of the Redeemer located in Irving, Texas is expanding their campus of buildings to include a 9,400 Sq. Ft. facility which will house a 2,900 Sq. Ft. multi-use room, small chapel, offices, and classrooms. 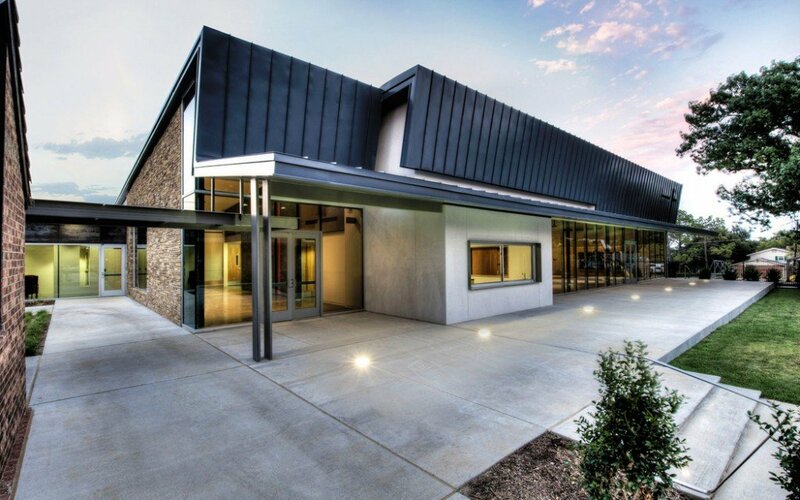 The roof was conceived as a continuous plane which has been folded to gracefully cover the facility and is sculpted to become a canopy which shields the south facing glass of the multi-use room and brings down the scale of the façade facing the courtyard creating comfortable spaces to gather.